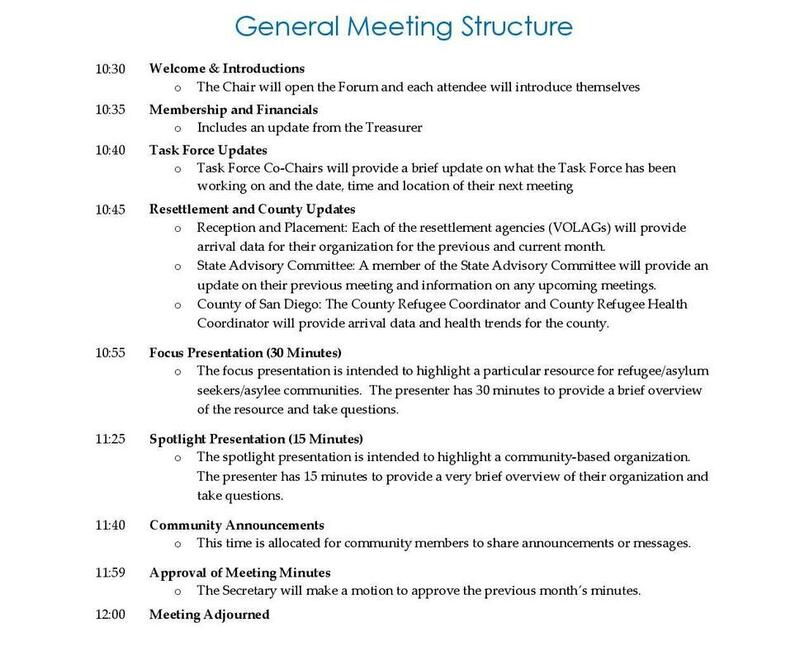 The San Diego Refugee Forum is a professional association and public forum, welcoming to all those who wish to attend. In respect of our members and guests, we ask that visitors and the media refrain from taking photos or recording meetings without seeking prior consent from all those present. Media requests are welcome and can be made by contacting the San Diego Refugee Forum Chair, Mohammed Tuama. ﻿﻿﻿Please join us for our monthly meetings on the third Tuesday of each month, from 10:30 am to 12:00 pm. Meeting dates in 2019 are January 15, February 19, March 19, April 16, May 21, June 19, July 16, August 20, September 17, October 15 and November 19. (No meeting in December).